You Wanna Be One, ..
It’S All That I’Ve Ever Know, .. I Came Here With Nothing ..
We Make Our Dreams Reality, .. 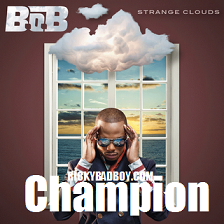 Cause I’M A Champion, .. I Live The Life I Said I Would Live. Whoa, Who’S Gonna Tell Me..
That It’S Not My Time? Who’S Gonna Tell Me ..
That The World Ain’T Mine? Lookin' For Nothing Cause It’S All Inside. Fire, Fire, I’M A Champion! Higher, Higher, It’S My Chance! Hope Is All We Got …..